We visited on a cold day when the kitchen in our hostel was so full of people that cooking was totally out of the question. We had had a long morning, and we were starving. 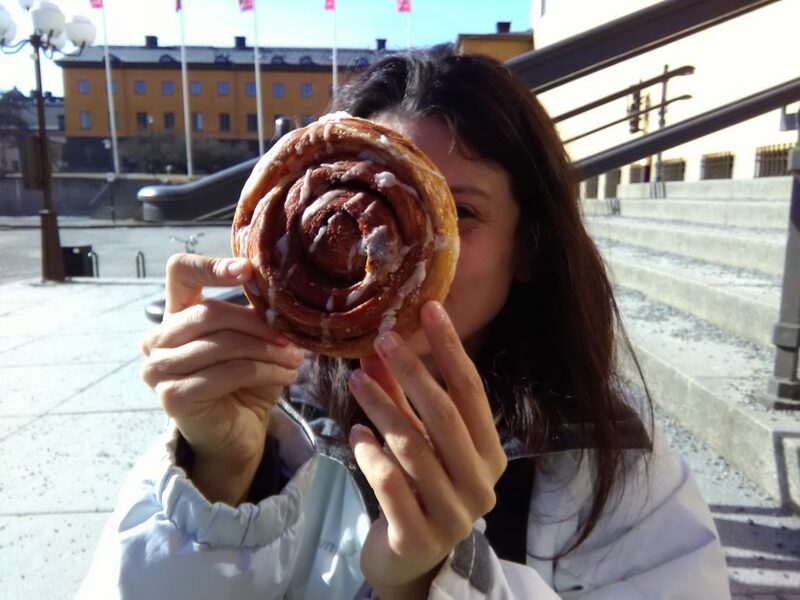 Before this trip I had a dream: eat a giant vegan cinnamon roll! I accomplished my mission at, a shop with two locations (one in Sodermalm and one in Gamla Stan) where you can have a FIKA (traditianal Swedish coffee break)) or just buy a sweet or some bread. We stayed at the and we really loved their kitchen: it had a beautiful view and was equipped with everything we needed! Want to know more about my trips? Follow me !